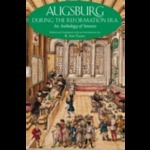 Tlusty, B. Ann, "Augsburg during the Reformation Era: An Anthology of Sources" (2012). Faculty Books. 6.